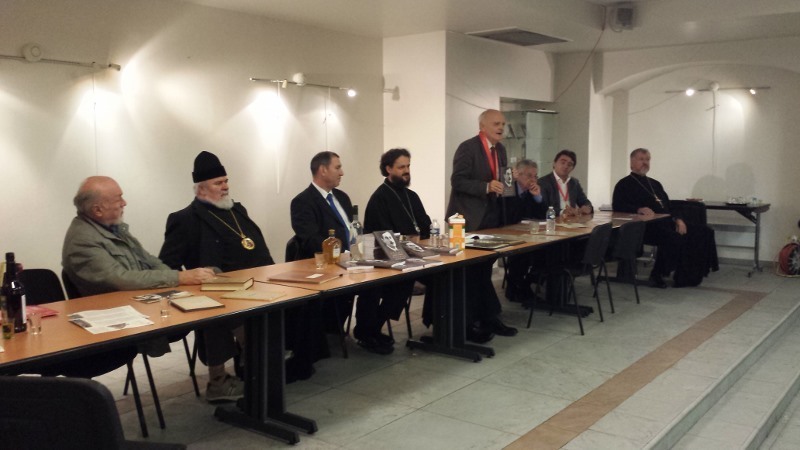 Paris, France - The Serbian Cultural Centre in Paris on Friday evening, October 11, 2013, hosted an extraordinary event. 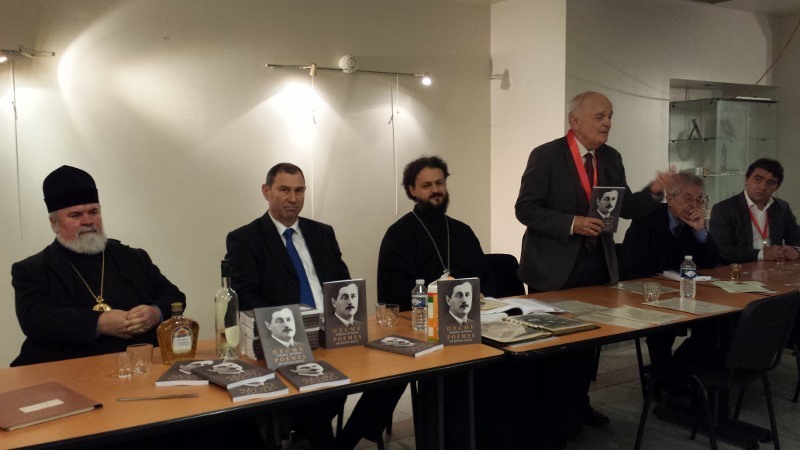 A promotion of book of poetry by Jovan Dučić and an exhibition of unpublished Dučić correspondence was organized by book publishers in cooperation with the Serbian Cultural Centre in Paris. This is a major cultural event of the year because we are marking the seventieth anniversary of Dučić's death by issuing the first bilingual edition translations of poems in French of this prince of Serbian poetry. 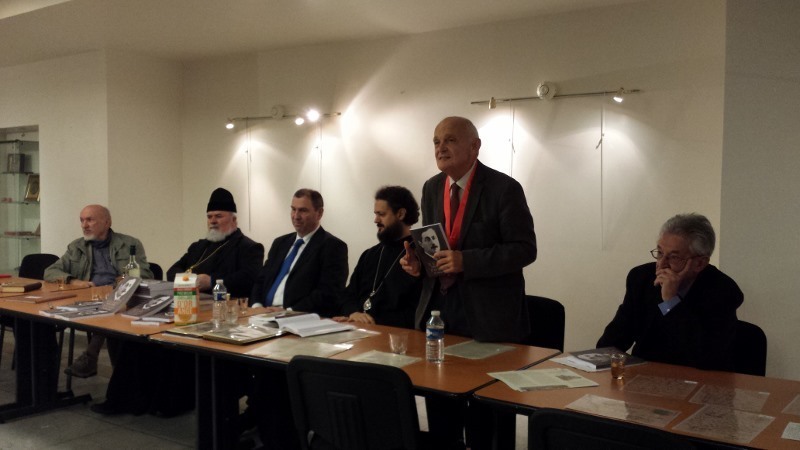 About the book spoke: literary critic Slavko Maleševic, editor of this edition Ljubomir Mihajlovic, the publisher Bishop Maxim Vasiljevic, a poet Komnen Bećirović, while actor Sasha Petronijević Dučićevu read poetry in French and Serbian. 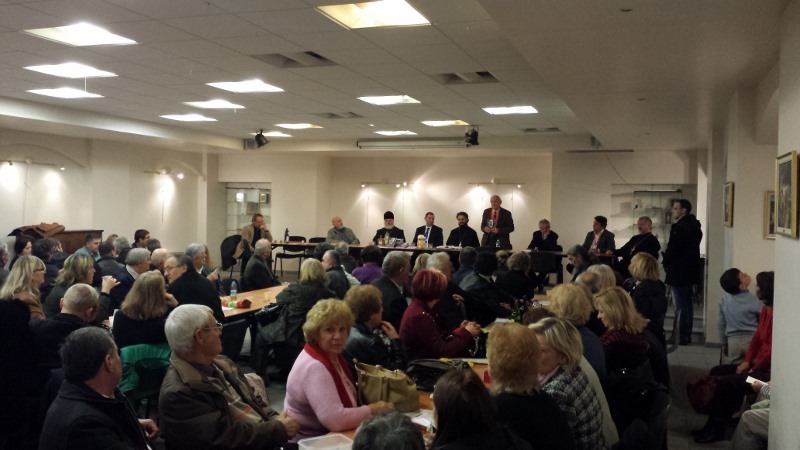 With this literary event there was organized an exhibition of previously unknown and unpublished manuscripts from Dučić correspondence. These materials have already been presented to the City Library in Novi Sad earlier this year (the unknown correspondence along with some original manuscripts of poems Dučića John, in the legacy of Professor Peter Bubreško). The exhibit includes, among other letters, Dučić's report to Milan Stojadinovic , about the interview with Mussolini in Rome 6 August 1935, a letter by bishop Nicholai Velimirović to Dučić 4 February 1932, Skerlić's letters to J . Dučić of 1905, and so on. 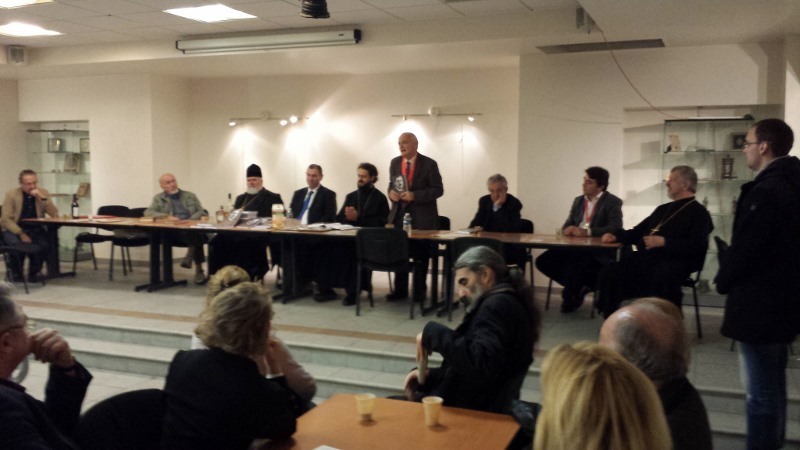 The event was attended by the Bishop Luka of, abbot Sava of the monastery of Tvrdoš and large audience.